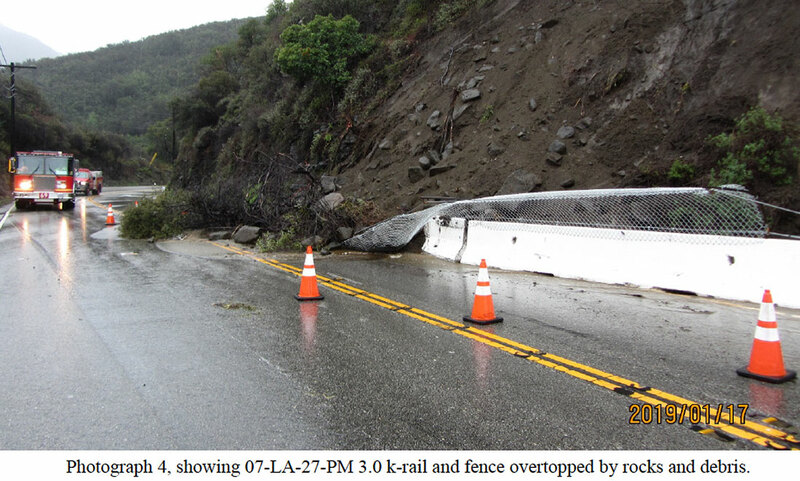 Topanga Chamber of Commerce | TCB (Scenic Highway 27) Closures Alert! TCB (Scenic Highway 27) Closures Alert! Home > TCB EMERGENCY WORK > TCB (Scenic Highway 27) Closures Alert! Good Day Topanga Neighbors, Businesses and Friends! 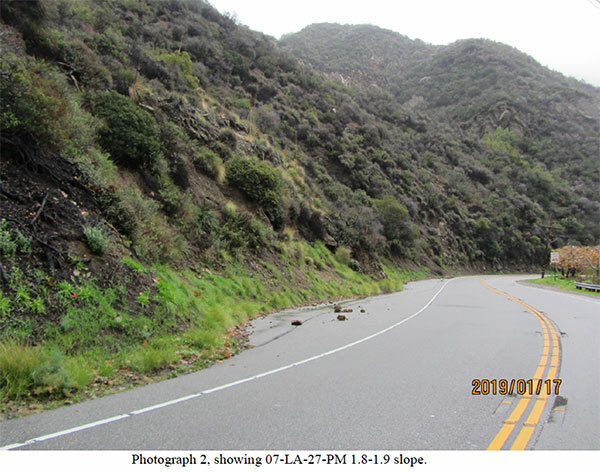 As was previously announced, this spring Caltrans will be working on a long term solution to stabilizing the hillsides along Topanga Canyon Boulevard. This project is considered high priority because of the fragility of the slopes. Caltrans’ Man-In-The-Canyon Michael Dipsia has informed us that the work will take place from February through June 2019. Highway 27 will be closed periodically during that time between Pacific Coast Highway and Jalan, Jalan (just south of Grand View) — and only between PCH and Jalan, Jalan. Topanga will remain open for business during the closures. 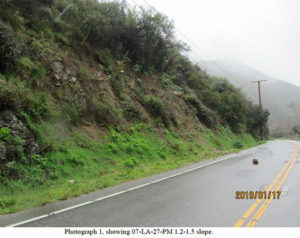 Four vulnerable hillside areas within the Scenic Highway will be fitted with more than 3,500 linear feet of steel netting. 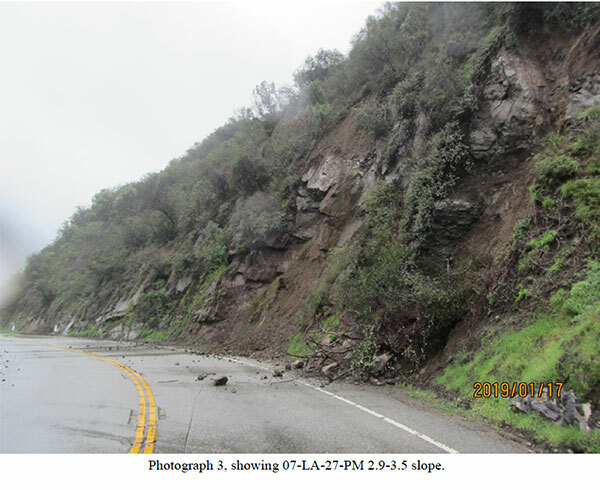 The accompanying photos show the four rock fall and mudslide sites in question. The project is still in the planning and scheduling phrase, so more specific closure dates are being determined. Stay tuned! Once again, Topanga Canyon Boulevard between PCH and Jalan, Jalan will only be closed in both directions periodically and the majority of the work will be done overnight between 11pm and 6am. Daytime work is expected to take place for only an estimated four hours on three separate weekend days during the February through June construction period. In order to further minimize disruption often only one lane of TCB will be closed with traffic alternating in each direction. As noted, these will be scheduled closures and the community will receive prior notice. 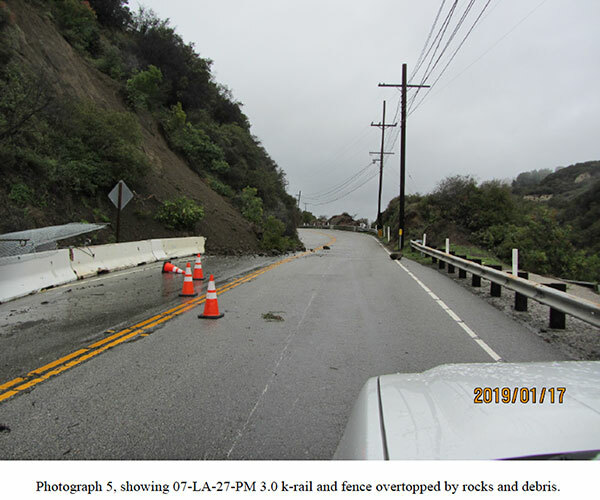 The Caltrans Approved Closure Plan that the community experienced recently, which notified motorists of the closure, directed them away from Fernwood and Tuna Canyon and publicized that Topanga Is Open For Business will be utilized. Caltrans, Los Angeles County and your Topanga Organizations, including the Topanga Chamber of Commerce, TASC, the Topanga Town Council and TCEP understand that these closures will be a challenge to the Topanga Community and are working diligently to keep the community informed and limit the disruption and inconvenience for Topanga residents and business. We all appreciate your cooperation and understanding as these much-needed and important safety repairs take place. It’s truly a “Pay Me Now or Pay Me Later” situation — better we suffer periodic scheduled inconveniences now rather than long-term emergency closures in the future. This information will also be retweeted by: The Topanga Town Council and TCEP and shared on the OneTopanga.com and TCEP.org websites and will be posted regularly on NextDoor Topanga. In addition, Topanga Chamber of Commerce members will be kept abreast of the situation and informed of the latest developments on a regular basis via eblasts to their member email addresses on file. Members please check your listing on the Chamber Member Directory to make sure the Chamber has your correct information.